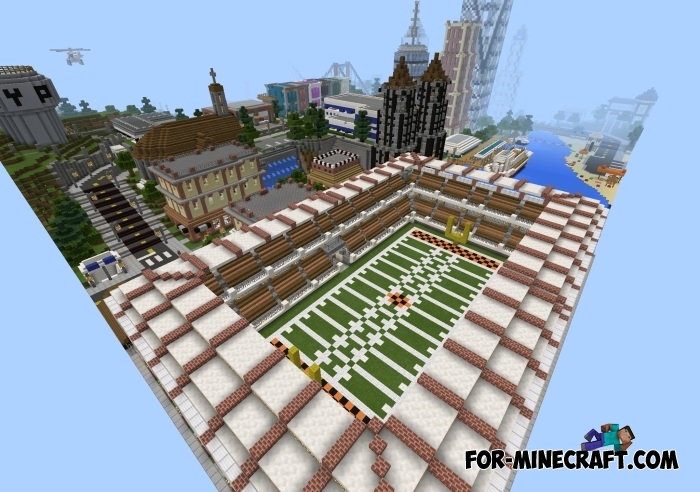 Pinnacle City - is a small town, which was built in the world of Minecraft PE 0.12.1. 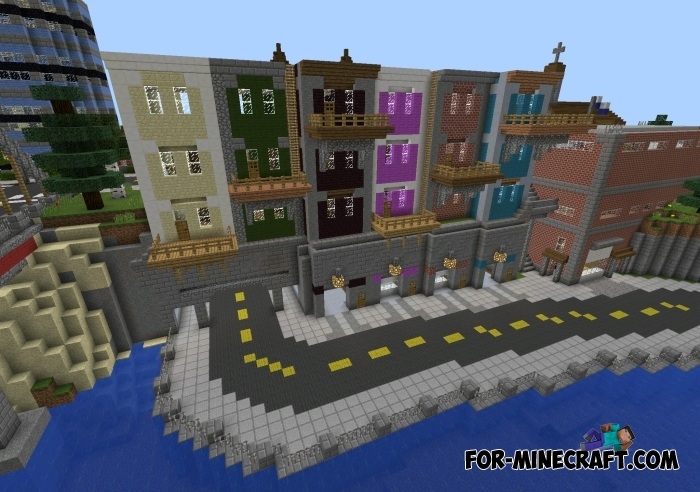 The map is built in the old world (256x256 blocks), but the author is completely filled in all the corners of the different buildings, shops, etc. 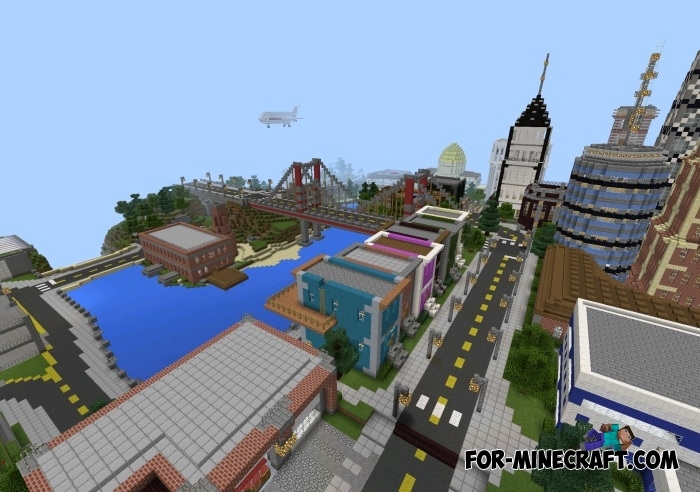 Grand Shine City map for Minecraft PE 0.11.XThis map is currently under development, but city now is interesting! I wanna join the server! What's the ip and port?